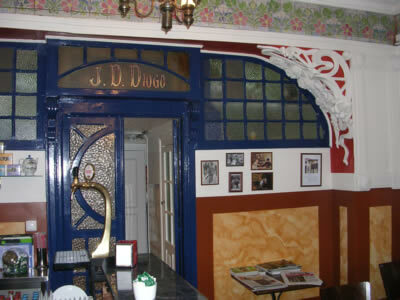 If you look for a nice and quiet café after walking around in the Rossio area in Lisbon, this 100 years old cafe is really worth it to sit down and admire the place ! 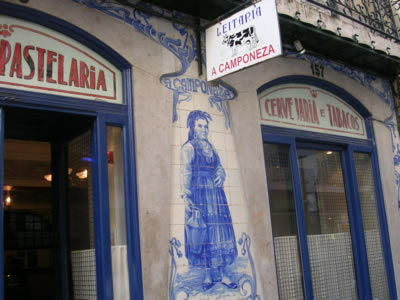 This is an old-fashioned Leitaria, specializing in milk products and pastries, whose blue-tiled walls display bucolic scenes. 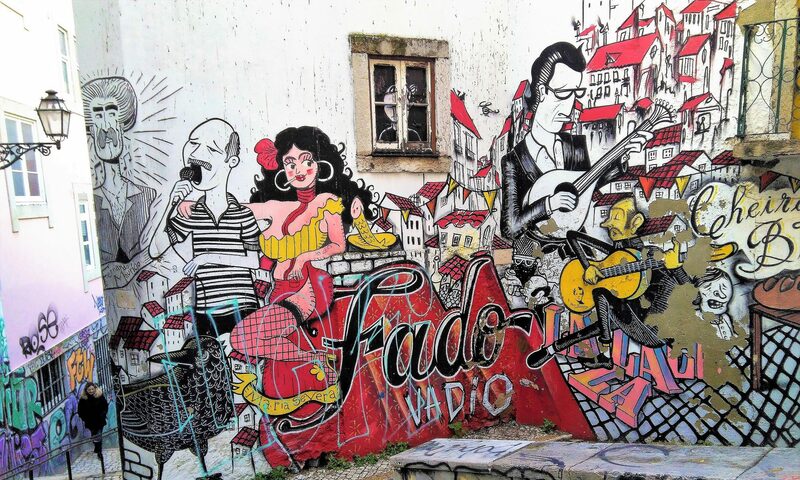 One of my favorite cafes: the atmosphere, the kind of people….mostly Purtuguese, drinking a bica (strong coffee) or a tea (chá) while reading a newspaper. 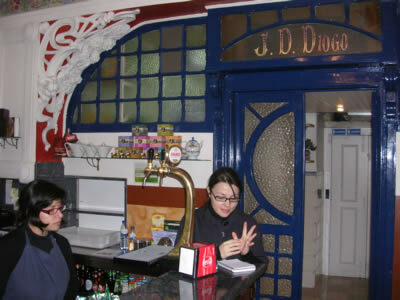 This house is for over 100 years in the same family: Ana Claudia Diogo (r) and her niece Filipa Indias. 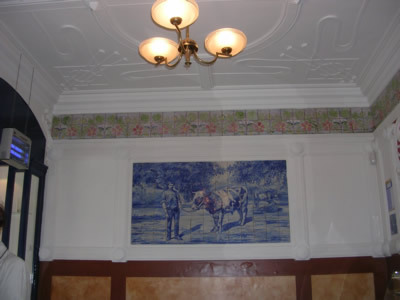 Ana Diogo’s grand grand father, José Domingos Diogo, built this place (pictures of the family are hanging on the wall), from origin a milkshop, in Portuguese ‘Art Nouveau’ style and beautiful tiles (azulejos). 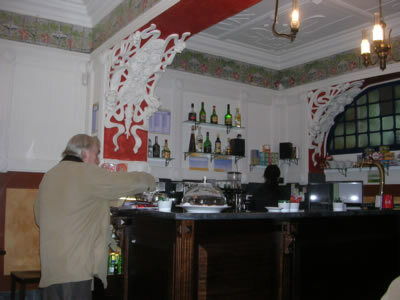 The café was recently renovated, but with care…. Chá (tea) in a pot (in style) 1,20 euro. 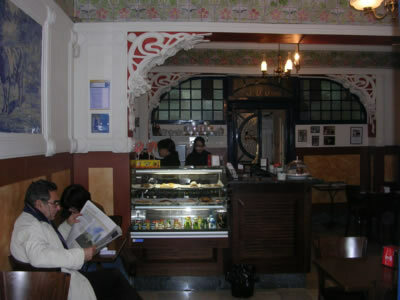 The coffee, cakes, and sandwiches are all good.